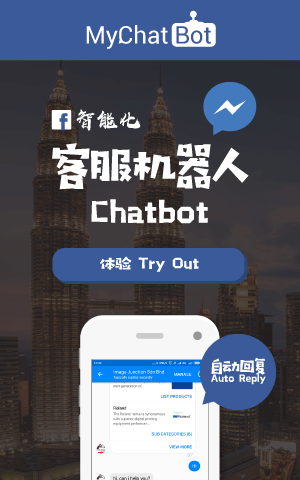 Our homestay service include KL Gateway Bangsar South, Laman Midah Kuala Lumpur (KL), The Scott Garden, Mid Valley, IOI Conezion Putrajaya, Sepang Resort Villa, etc. We supply kitchen accessories, plastic wares and stainless steel equipments. Casa Hill Resort is a new stylish villa and container cabin resort located in the serene and beautiful ex-mining town of Sungai Lembing, Kuantan. www.birthdayparty.com.my is the latest creation of Dato Tan, the founder of Gold Coast International Resort. PT 294, Kawasan Kanchong Laut, Morib Beach, 42700 Banting, Selangor, Malaysia. Teamcore Resources Sdn Bhd is a company that supplies hotel amenities and smart hotel solutions. Our office is located in Shah Alam, Selangor, Malaysia. Space Hotel is in the heart of Kuala Lumpur (KL) city. We are the best capsule hotel in Malaysia. Tripmaker Travel & Tours Sdn Bhd is the leading travel agency in Malaysia. Our main office is located in Ampang, Selangor. Four Ocean Vacation Sdn Bhd is a travel agency that provides tour packages. Our main office is located in Kuala Lumpur (KL), Malaysia. Morinomiya Guest House is located in the center of Osaka, Japan. Muar Trade Centre & Muar Traders Hotel provides hotel and meeting place service in Muar, Johor, Malaysia. We are now a MICE (meeting, incentive, convention & exhibition) centre. 16, Jalan Petrie, 84000 Muar, Johor, Malaysia. Hotel YL is a budget hotel located in Kajang, Selangor, Malaysia. 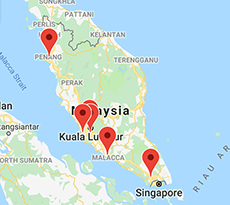 You can find a wide stretch of restaurants near our hotel such as Restoran Sate Kajang Haji Samuri, Happy Farm Restaurant, A Wet Thai Garden, Little Seven Wanders Kitchen and Kajang Laksa Keong. Absolute Vacation & Adventure Sdn Bhd is a travel & transportation agency especially for people who are looking for an unforgettable trip in Penang. Our aim is to help customer find the best Penang tour packages that meet customer needs. You��ll find our hotels in Tebrau in fantastic locations. Shoppers will love the high fashion for sale. Our nearby facilities include AEON Tebrau City Shopping Centre, Siow Specialist Hospital, Giant Hypermarket Plentong. Moreover, we do provide the best services and amenities such as family room and car park. 53, Jalan Harmonium 35/1, Taman Desa Tebrau, 81100 Johor Bahru, Johor, Malaysia. being the most trusted hotel for the guests, owners, employees and community by providing consistent and personalized services. --------------------------------------------------------------------------- Vinz Hotel is strategically located next to Jonker Walk. All Major tourist attractions in the core conservation area of Historical Malacca are literally at your doorstep. 9, Jalan Tun Tan Cheng Lock, 75200 Melaka, Malaysia. A budget hotel 1.5km to utm skudai. Walking distance 200m to giant & jusco. Near legoland & 15min to senai airport. Pay less, get best. 26 & 26A, Jalan Flora 1/10, Taman Pulai Flora, 81110 Johor Bahru, Johor, Malaysia.